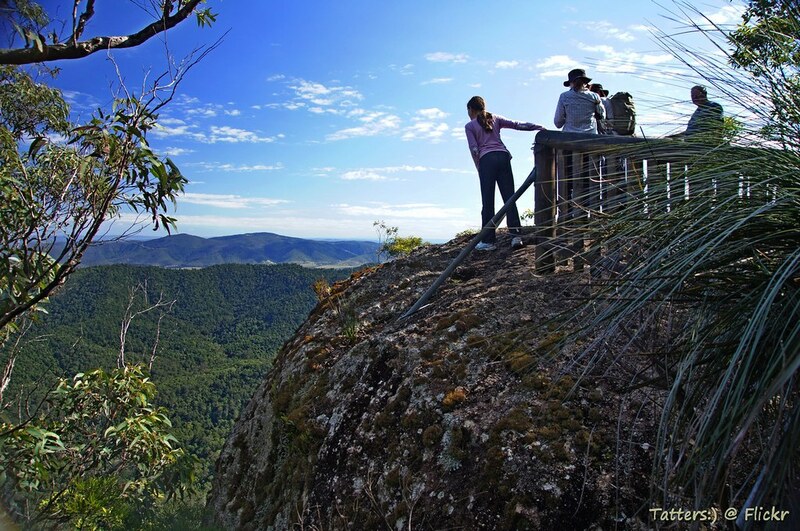 Ride the twisty road to the magnificent Mount Glorious! Enjoy an early lunch & coffee when we reach the top. AUSTRALIA DAY BBQ AT HIPPY AND ROACH'S PLACE. 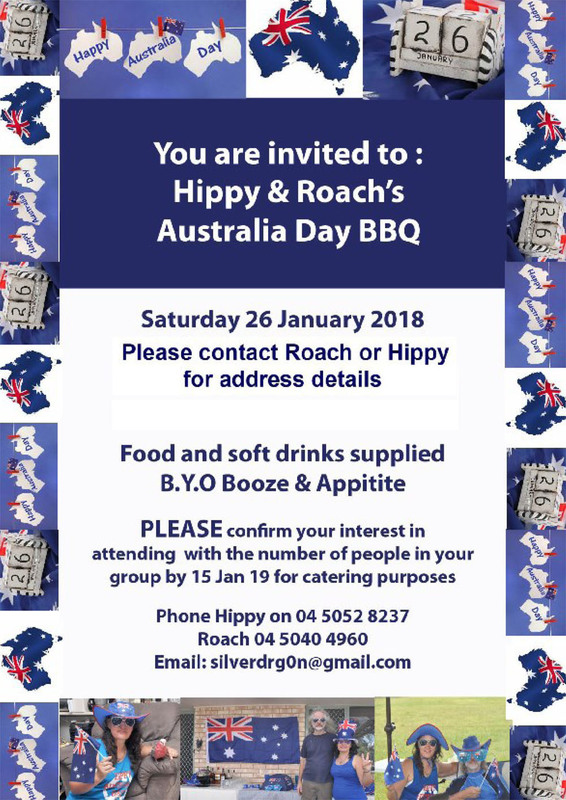 Steel Horses club members are invited to an Australia Day BBQ at Hippy & Roach's house invitation! Today is a Public Holiday - you're probably not going to work, so come along and help celebrate Australia Day! Food, nibbles and soft drink will be provided. It’s B.Y.O booze and appetite! The party starts about 2:00 PM and carries on from there! 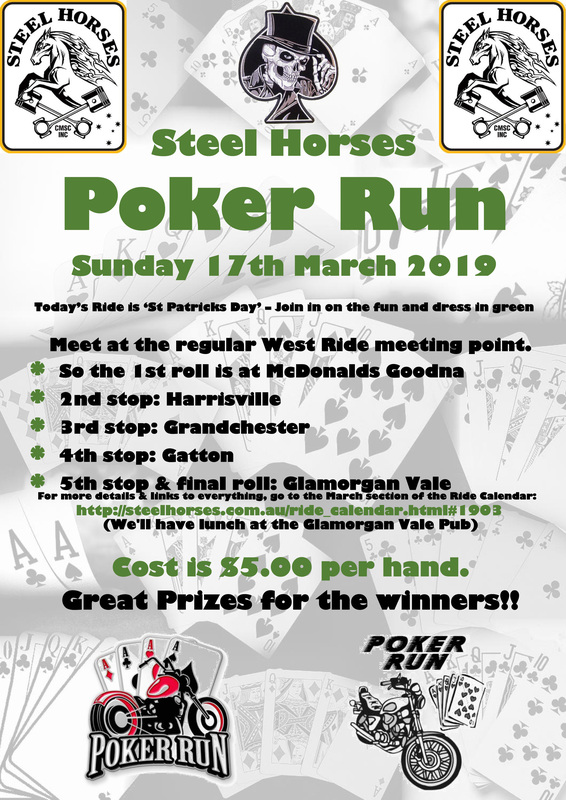 If you’re interested in coming along, can you please email Roach (silverdrg0n@gmail.com), or leave a text message on her mobile (0450 404 960). Let her also know the number in your group. Roach will need to know who's attending by 15th January for catering purposes. Also contact Roach if you don't know their address. 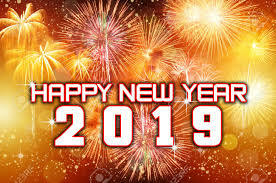 New Year's Day: Tuesday 1st January 2019. Australia Day: Saturday 26th January 2019. Australia Day (Public Holiday): Monday 28th January 2019. Sat 16 Movie Night & Worker's 40th Birthday Winnie & Worker will be hosting a movie night and 40th birthday celebration for Worker at their home. Invitation is for club members. Start time around 5pm with BBQ & nibblies before the outdoor movie screening starts around 7pm. Club members are welcome to bring along comfy chairs to use while enjoying the movie. There is plenty of room on the property if anyone wants to set up a tent/camper to stay the night. We're planning a 'pot luck' dinner for those attending with a 'bring a plate' food item for the night. Please contact Winnie or Worker to let them know whether or not you will be joining them for the evening. Also speak to Winnie if you would like menu item ideas to bring along on the night. We'll be meeting at a new/different spot today - Colleges by the River - at Colleges Crossing - 408 to 492 Mt Crosby Road, Churwar, QLD 4306 . Today will be a Mystery ride. Ride route to be confirmed. We'll have a short, cruisey back road morning ride with a lunch break spot that will be convenient for all. Today will be an "Early Bird" ride . 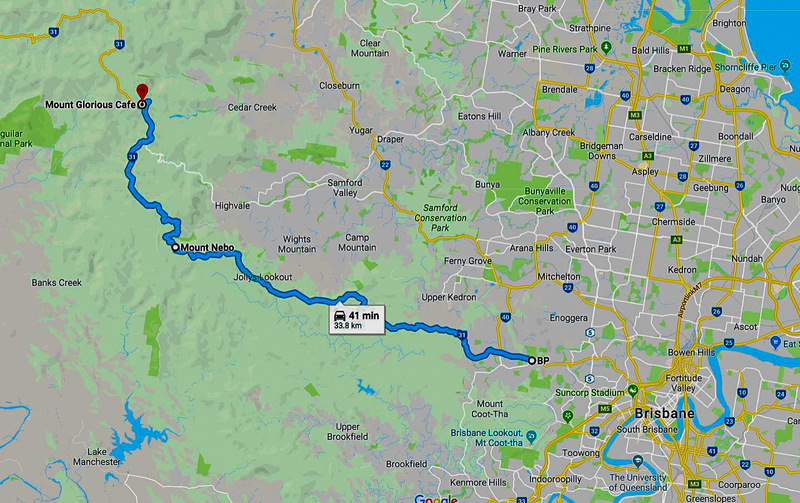 Arrive at 6.30am for a 7am departure from BP Servo at Yatala - We'll head over to Springbrook and down to Mudgeeraba for brekkie. After brekkie we a coming back over Springbrook to Canungra and BP Servo at Yatala for our goodbyes, ride will finish before lunch. If you would like to join me I will see you on Sunday. Valentines Day: Thursday 14th February 2019. We'll meet at McDonalds Goodna at 8.30am. Stands up and departing at 9.00am. -We'll ride to Maryvale for our first bum break. 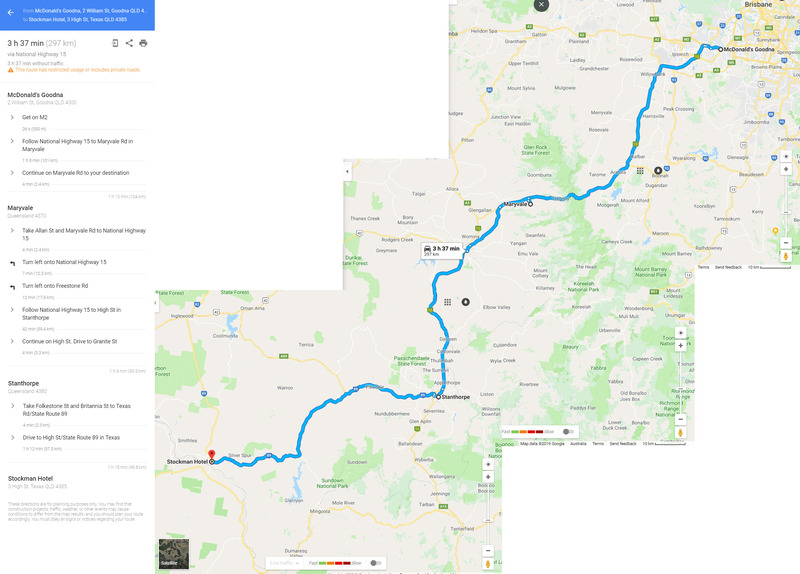 Through to Warwick then on to Stanthorpe for our second break. We'll continue on to Stockman Hotel 3 High St, Texas QLD 4385. We'll have lunch at the Stockman Hotel and check in to our accommodation.- Biker Nation review of Stockman Hotel here Please contact Yogi to confirm your interest in attending this weekend away. Accommodation will be at the Stockman Hotel in Texas. Please let Yogi know how many in your group are going ASAP so your accommodation can be booked. Return ride route home on Sunday 3rd Mar to be confirmed. Click HERE for ride route map to Texas. 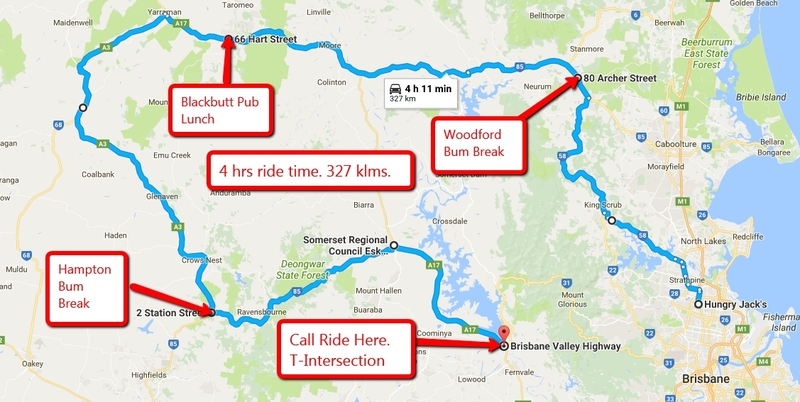 We'll meet at Caltex Carseldine Roadhouse - through to Woodford (first bum break) - Woodford to Blackbutt Pub (lunch) - Blackbutt to Yarraman then onto Hampton (bum break) - Hampton down the range to Esk and onto the T-Intersection where I will call the ride. For those who want to go home via Mount Gloriousi9khb, follow me, or home via Fernvale and the highway. Total ride klms from Castledine to T-Intersection = 327 klms. Ride time = 4 hrs + bum breaks and lunch. (Plan for a longish day.) Route map isHERE.